The new drone toy you got for Christmas comes with some heavy federal issues. 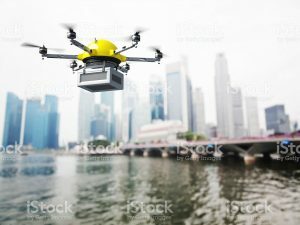 When the Federal Aviation Administration established guidelines and licensing procedures for how commercial businesses and operators were permitted to use drones two years ago, the technology’s user base was mostly comprised of two groups: first responders, and photographers and other media types. The guidelines and procedures laid down sufficed at the time for the purposes of those users; however, during the past two years, drones have become significantly more common in a wider array of industries like agriculture, utility maintenance and professional sports – not to mention the recreational users. Drones are growing in popularity because they can collect valuable data and increase productivity, safety and efficiency across all different sorts of industries. All of these uses are fraught with risks, and the FAA has been focused on how to mitigate those without grounding this new technology. This broadening of the technology’s use has prompted the Trump administration to consider revising and updating drone regulations, a process that could include shifting some authority from the FAA to state and local governments. Observers have noted the need to diversify regulations given the panoply of users, which makes it difficult to find a single set of rules that applies well to all of them. The use of drones by different industries has opened up new issues that either aren’t addressed by the FAA rules or conflict with them. These include privacy and property rights, nighttime flying, flying over public areas, and maintaining field of vision. FAA regulations already say that drones cannot be flown higher than 400 feet.Those who fly drones within five miles of an airport must register as hobbyists with the FAA and correspond with air traffic controllers during operation. They must use drones strictly for recreational purposes, have aircraft that weigh 55 pounds or less, operate in accordance with agreed-upon community guidelines and without interfering with manned aircraft, and they must notify air traffic control of their location. The Aircraft Owners and Pilots Association provides guidance on this and many other issues. Those who have experience with drones say the potential areas of conflict–or confusion–warrant the decision to revise the rules so that drone users in all types of businesses understand and are comfortable with regulations. These should be based on mutually agreed-upon best practices but with some experimentation among different state and local governments to tweak those best practices going forward.